My mom has referred to me as a hippie mom. I’m not sure that I’ve gone that extreme, but I have chosen some parenting techniques that are not as common. I breastfed Lincoln and took him to baby yoga. 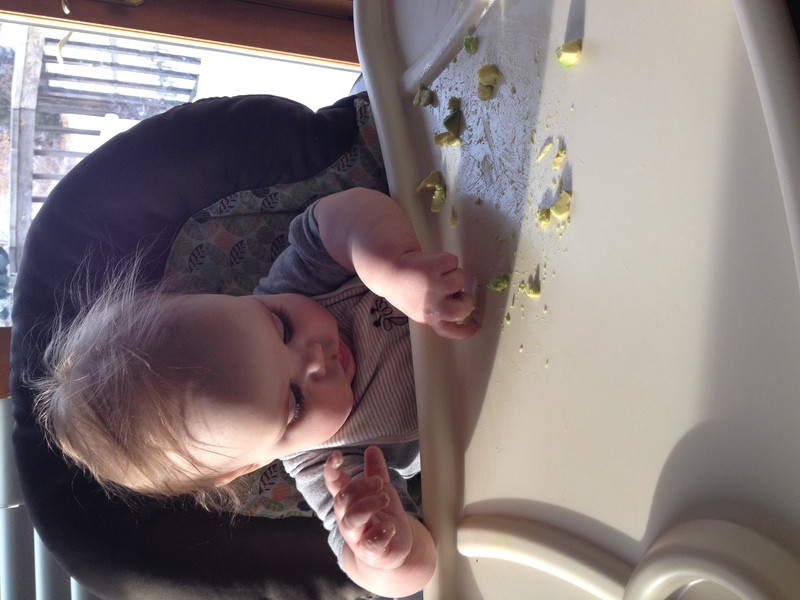 I made all of his solid foods, many of which were organic, and we taught him baby sign. But he did wear lots of blue, started his solids right at 6 months, and had some formula in his first weeks of life. It was a wonderful blend of the traditional methods and some newer trends. 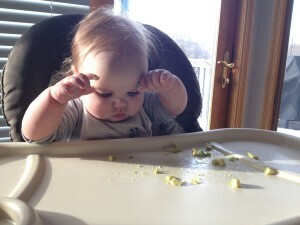 We learned a lot about parenting an infant. There were a few things that I’d wished I’d done with him, and I planned to do that with the next pregnancy and baby. I found out I was pregnant again (with Eloise), and I considered the things we did with Link, and the things I wished I had. I decided I would do more prenatal yoga to prepare for birth (I did it almost 5 times… but I was on restrictions a lot of her pregnancy, so I’ll blame that) and that I would get in a place where I wouldn’t need an epidural (I totally had one). 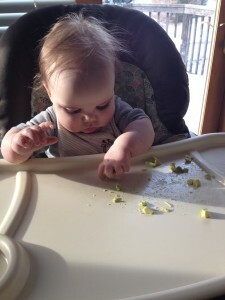 I prepared to breastfeed her without using any formula to supplement, but I knew, based on Link’s experience, that the needs of the baby outweighed my wants. Eloise was born, perfectly. We were able to breastfeed right away (thank you Jesus!) and I was able to store up enough extra milk that I was able to donate some, as I wished I could have done with Link. I cloth diaper Eloise, which I am so happy about. I love not buying diapers (we are almost not buying any for Link either). My family was supportive of my decision, although I’m pretty sure they thought that I was nuts, and would give up. But I was alright with that, and it did encourage me to give it the best go of it that I could, so that I knew if it was right for us. 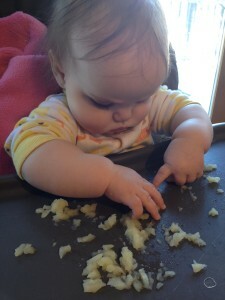 The next thing that we are doing different with Eloise is baby-led weaning as a way of introducing her to solid food. It’s going pretty well, although we are on a hiatus to figure out some issues she’s having otherwise. You can read more about the benefits here if you’d like. Before my mom read the benefits, she was certain I was nuts. But here is the important part: It’s alright to do things different than how your mom (mother-in-law/sister/neighbor/friend) did them! 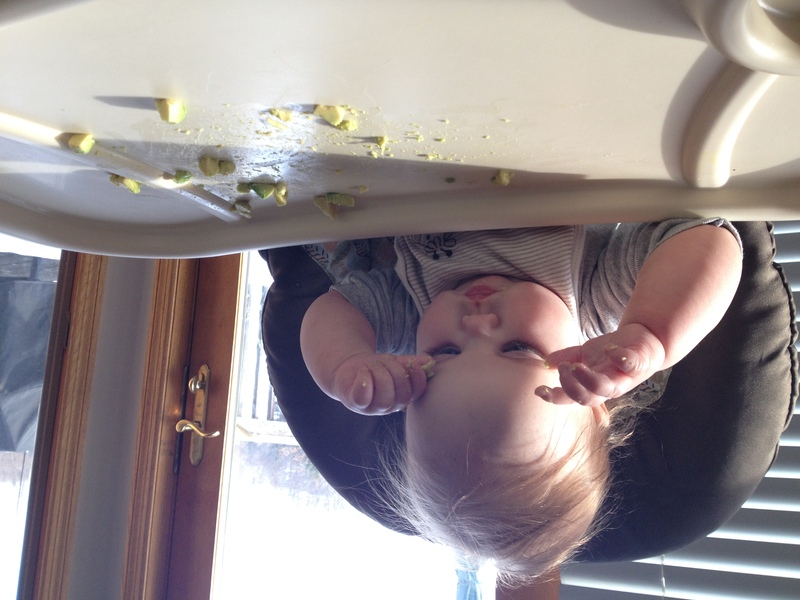 If you, as the trusted parent of this little one, feel that this way is right, do it that way. I do feel that it is important for family members to be involved in raising your children. If you, as a grandparent, don’t understand why a certain method is being used, ask! I am grateful that Link’s and Ellie’s grandparents care enough about them to ask why I do things a certain way. My children are so blessed! And I am so incredibly blessed that my husband, parents and in-laws may seek better understanding of what I’m doing, but then they support it. They know that I am choosing the best for my kids. I feel that listening to people’s concerns and questions, and then making my own decision, is an important thing to demonstrate for my children. They need to know that it’s alright to do things different than what is expected of them. If Link wants a pink balloon instead of blue – great! If Eloise is dressed head to toe in boy clothes (ok… not quite her own decision yet) – great! Their mommy and daddy love them, they were designed by God. That is what matters. 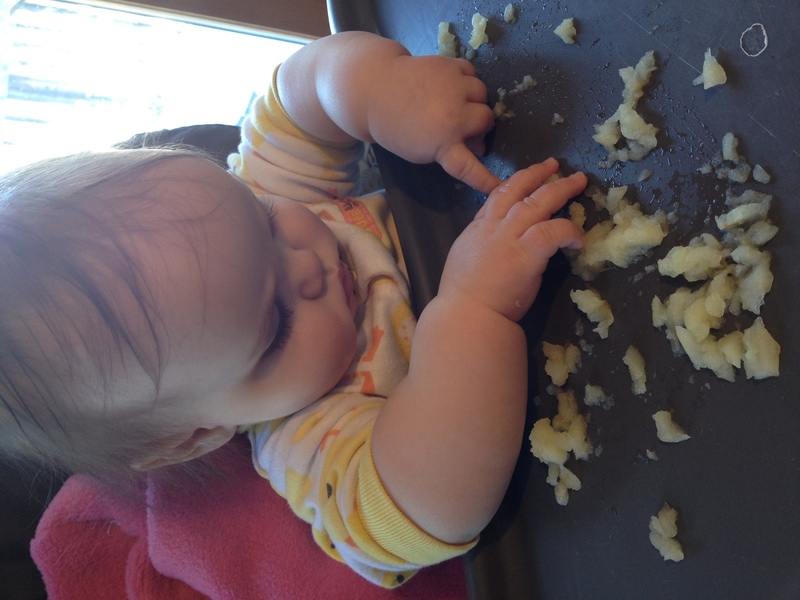 Now… some pictures of Eloise trying to eat food.